This “ecological turn” in the humanities could be academic fashion—to be forgotten within a decade. But this is unlikely. While momentary jargon like the “nature-culture nexus” might lose steam, it is getting harder and harder to ignore the connections between modern civilization and environmental destruction, and those connections are, inevitably, seeping in to political theory, philosophy, cultural studies, and the popular imagination. Now, questions about the state, international politics, colonialism, and capitalism must be ecological questions as well. The thing about nature is that, if you try to turn your back to it, it’s still in front of you. You can’t just walk back into your car and drive away from it—it is always in-your-face, human, not-so-human, primeval, and intensely contemporary. It’s interesting that, at the very moment when we are once again oriented toward nature, many are also heralding its end. The term Anthropocene signifies that the world we live on is so greatly shaped by human activity that if someone were to dig a deep hole 100 million years from now, they would find a layer of earth that has “human” written all over it. The eco-modernists have run with this idea, saying that since there is no longer any non-human, it is up to us to shape the world as we please. And if nature has come to an end, then, in a way, so has the world as we know it. 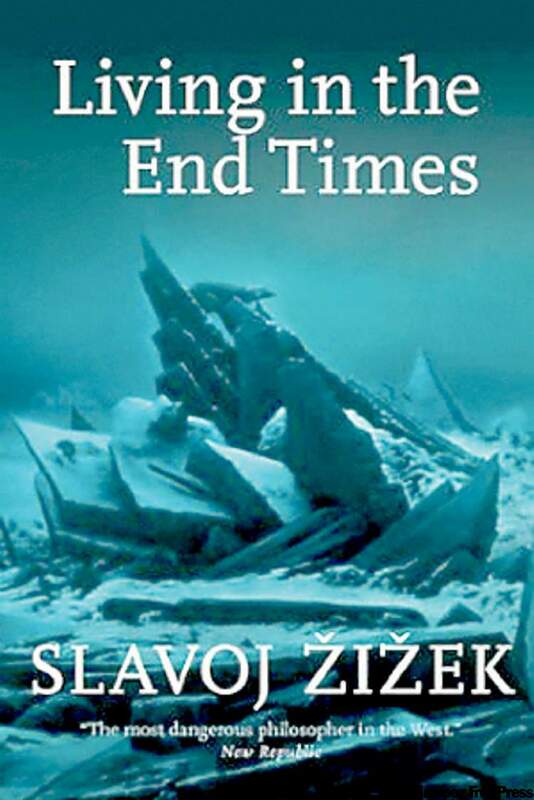 As Slavoj Zizek puts it, we are living in the End Times. When writing the above paragraph I was struck by my assumption of a we. That’s just the problem with the Anthropocene: it assumes a blanket humanity, a blanket history, a blanket geological record. But as Métis anthropologist Zoe Todd notes, “over the last five hundred years, Indigenous peoples faced (and face) the end of worlds with the violent incursion of colonial ideologies and actions”. There are people who have never ‘turned their back’ to the land. For some Indigenous people, their worlds ended a long time ago, and for many, their worlds are in constant threat of ending. They have resisted colonialist assimilation for centuries—and despite the odds, continue to practice radical alternatives, different ways of engaging with the land. So what kind of struggle, and how do you join it? Is it possible to revoke capitalist colonialism? If you do, will you be warmly welcomed by the fierce warriors outside of it—“on the front lines”? It’s important to be careful here. Capitalism can easily be caricatured as a poisonous, homogeneous puddle of “all that is wrong in the world”. And so people like to point to and romanticize those “outside” of capitalism as models for alternative ways of being. But what if, instead of assuming an “outside”, we simply limit ourselves to the boundaries? Consider this: when pondering the circumference of Britain’s coastline, Benoît Mandelbrot showed that its length is not universal: if your unit of measurement is 200km, it turns out to be 2400km in length. If your unit is 50km, its length is 3400km. The estimated length of a coastline will increase when your ruler’s length decreases. In the same way, if you look closely at the capitalist puddle’s margins, you’ll find that it’s actually almost impossible to measure its true circumference. What initially appears like a pretty straight line is full of edges; near-fractal shapes whose total length depends on the unit of measurement you choose. These worlds are no longer pre-capitalist; nor are they post-capitalist or even entirely anti-capitalist. But that doesn’t mean that we should turn our back to them: they themselves may help us better understand, and challenge, the destruction of worlds. Every puddle needs its edges, but its borders also limit its spread. The limits of the term ‘Anthropocene’ highlight the danger of using one framework (geology and climatology) to make universal claims about the world—it helps make only one world possible. True, when someone digs into the earth 100 million years from now, these different worlds may not be discernible. But they do exist. In the same piece, Zoe Todd goes on to ask: “What does it mean to hold, in simultaneous tension, stories of the Anthropocene in the past, present, and future?” This is a pursuit I find inspiring: to dig up the stories stretching back into conflicting pasts and forward into possible, also conflicting, futures. There are many ways to do this. For Anna Tsing, it involves what she calls noticing, tracing how processes on the periphery of capitalism are translated and assimilated. Like Tsing, Zoe Todd’s work is about noticing relationships between humans and not-so-human worlds. For Ursula K. Le Guin and a new breed of speculative fiction writers, this involves experimenting with different puddles, different possible worlds, through science fiction. For ecological economists like Joan Martinez-Alier, it involves rejecting the use of a single measurement tool and acknowledging that values are often incommensurable, untranslatable, and conflicting. Another way is to ask how it was possible for the humanities to forget these different worlds in the first place—a question often approached within post-colonialist theory. Part of it certainly is trying to ascertain the mechanisms of capitalism today, and to ask if, and how, that puddle is expanding. But that’s only half of the story: doing only that would exclude the not-so-capitalist worlds that already exist and have not yet come into being. 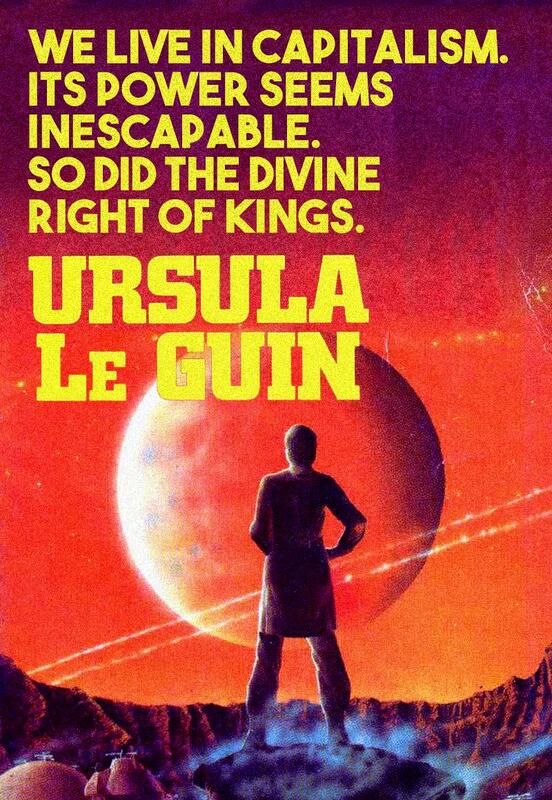 Ursula Le Guin, The Dispossessed. Source: reddit.com. The continuing relevance of the “ecological turn” within the humanities signals that more difficult work lies ahead: as Todd and many others have argued, it requires acknowledging—and, more importantly, supporting—those who have never turned their back in the first place. It requires noticing the different worlds that exist today, are being snuffed out, and are constantly emerging. These different worlds are political, and in being political, they enable new life-worlds to become real. And so, rather than simply including them within a larger universal theory of capitalism, it should be possible to notice how they broaden our options. *Aaron Vansintjan is a PhD student at Birkbeck, University of London and the Institute of Environmental Science and Technology at the Autonomous University of Barcelona. He is an editor of the website Uneven Earth and enjoys journalism, wild fermentations, decolonization and degrowth, and long bicycle rides. The continuing relevance of the “ecological turn” within the humanities signals that more difficult work lies ahead: as Todd and many others have argued, it requires acknowledging—and, more importantly, supporting—those who have never turned their back in the first place.